Paramore is a rock band that formed in 2004 in Franklin, TN. 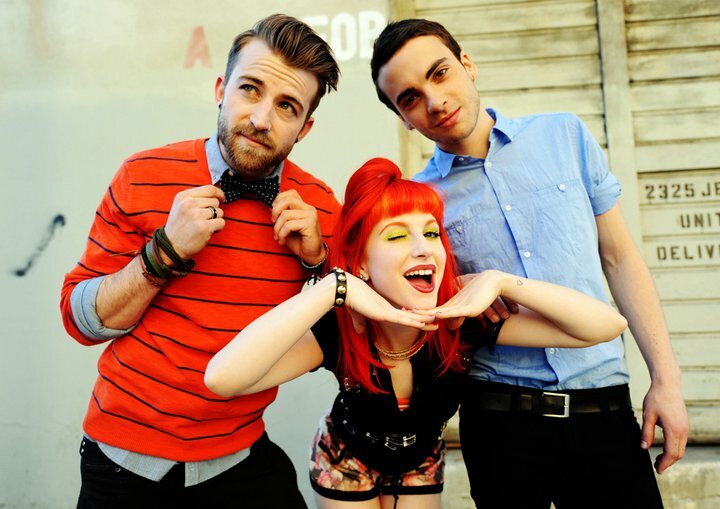 The band is currently signed to the record label Fueled by Ramen, and consists of lead singer Hayley Williams, bassist Jeremy Davis, and guitarist Taylor York. Paramore has released three studio full-length albums, three EPs, two live albums, fourteen singles, one video album, and thirteen music videos. Their second studio album, Riot!, was what made the band famous and ranked #15 on the Billboard 200 album chart. The band will be touring in the Czech Republic, Poland, Sweden, Finland, Portugal, Spain, Hong Kong, and Indonesia this summer, and will be on the Vans Warped Tour from mid-July to the beginning of August. Since the beginning, Paramore has been huge supporters of the nonprofit organization To Write Love on Her Arms, particularly Hayley Williams (you can read my post about TWLOHA here). Her picture was even on one of the promo cards for To Write Love on Her Arms (view the photo here), and the promo cards were attached to the shirts that were sold. The band is often seen wearing the organization’s shirts at their shows, and even collaborated with To Write Love on Her Arms on a shirt; the shirt has the lyrics of their song “We are Broken” printed on the inside, and can be purchased here. 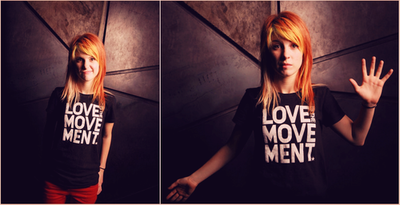 In 2008, the members of Paramore appeared in To Write Love on Her Arm’s suicide announcement. If you or someone you know is depressed and/or is thinking about suicide, please call Hopeline at 1-800-SUICIDE (784-2433) immediately. This entry was posted in Bands, Mental Health, Nonprofits. Bookmark the permalink. I think it’s so great that bands stand up for causes. With the majority of their fans being adolescents, they are able to be role models while providing entertainment. It’s a great way to allow people to become aware of campaigns and know they are not alone. i think that social media is awesome. Its a great tool for those that wanna get involved but just dont know how or where.